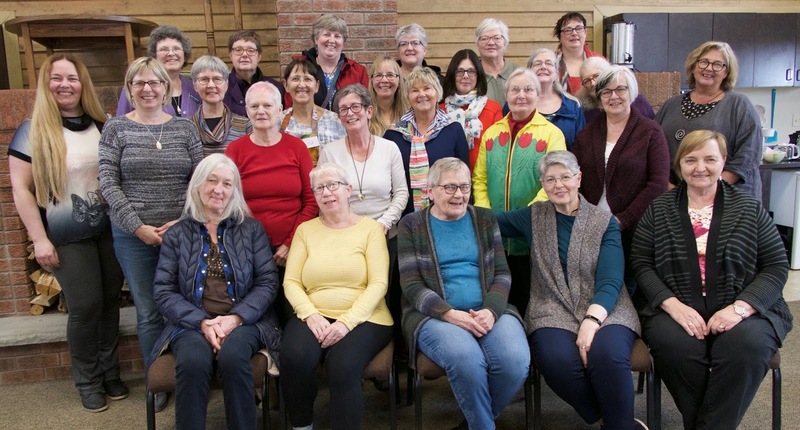 The first annual Central Canada SAQA retreat just happened in Crieff, Ontario. 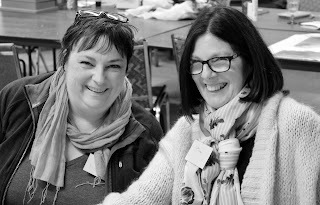 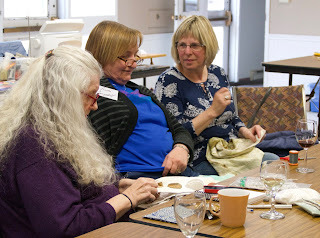 It was a lovely time to share stitching, friendship, ideas, creative space and of course, food and wine! 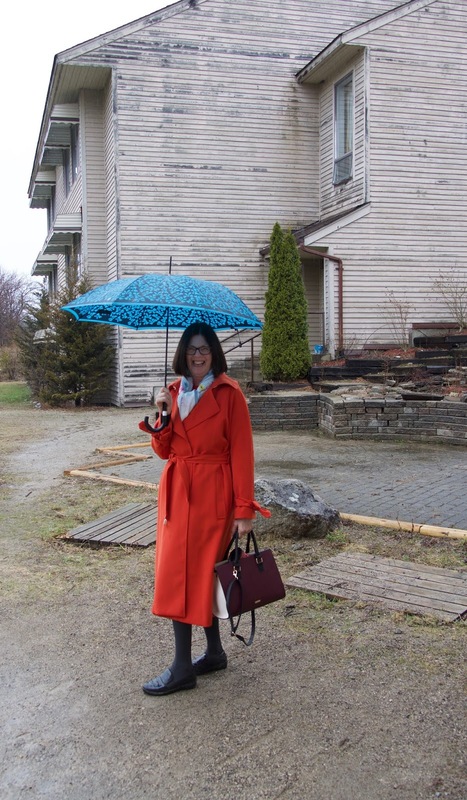 I think I can say that a splendid time was had by all. 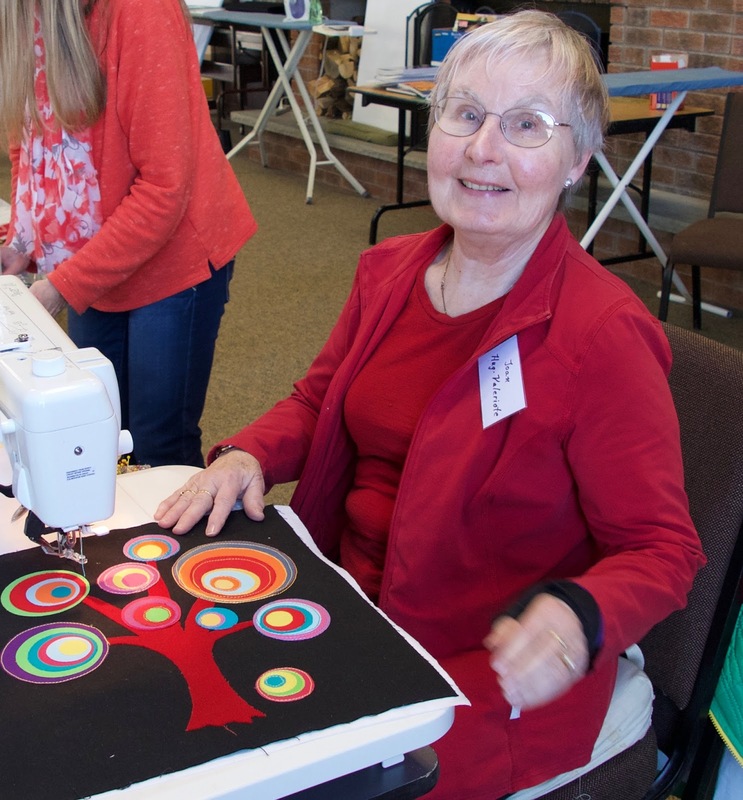 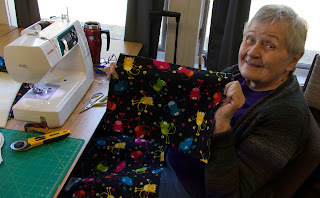 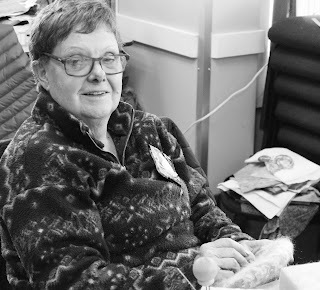 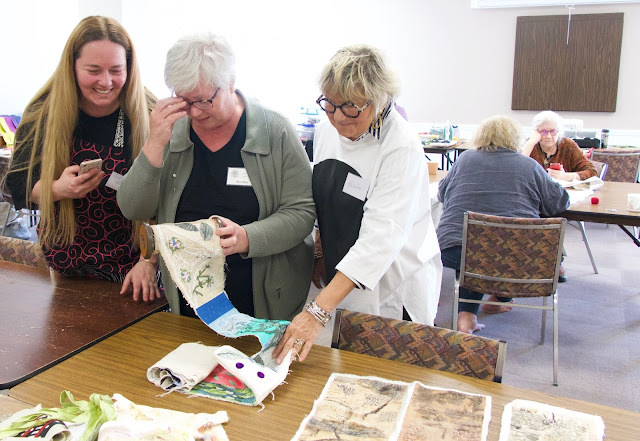 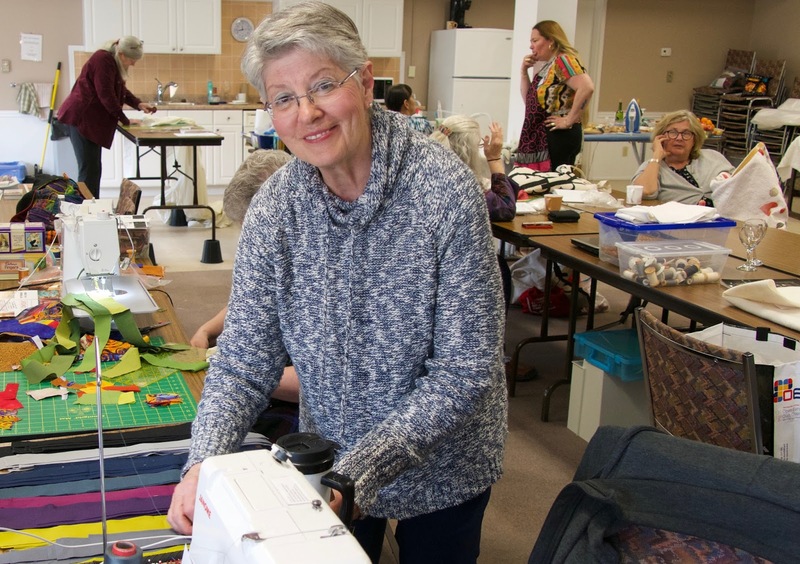 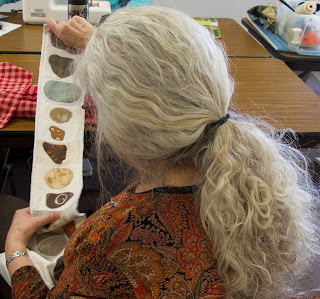 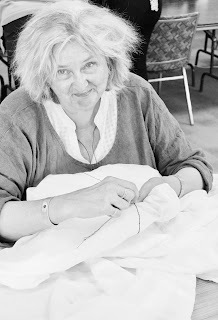 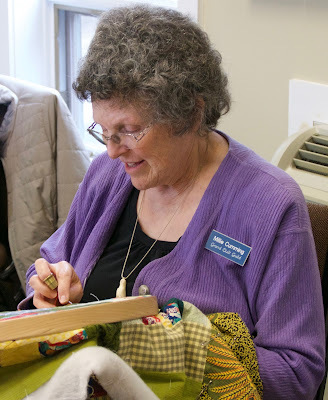 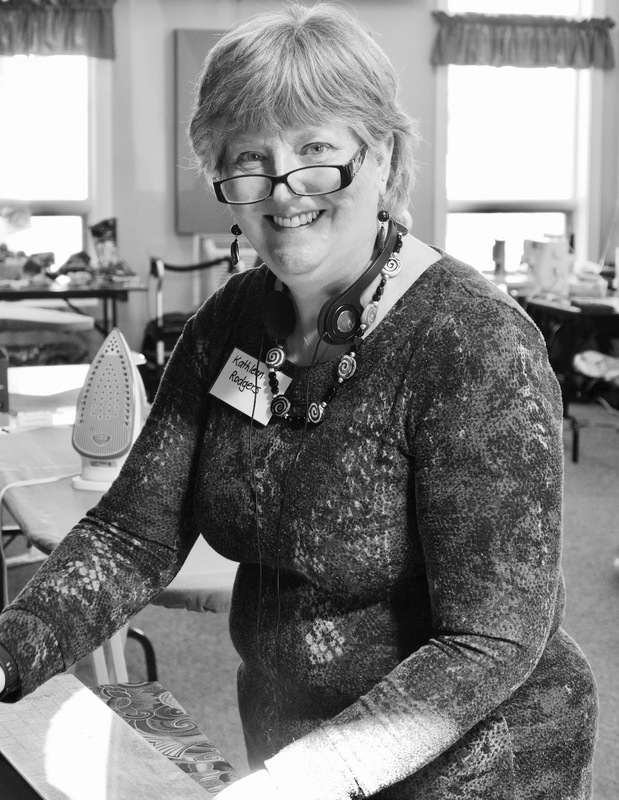 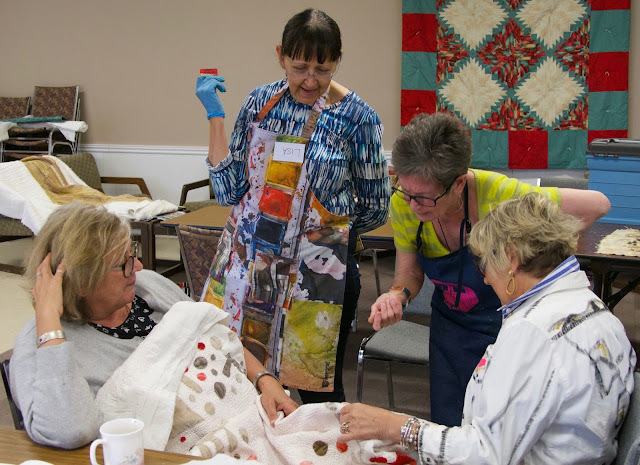 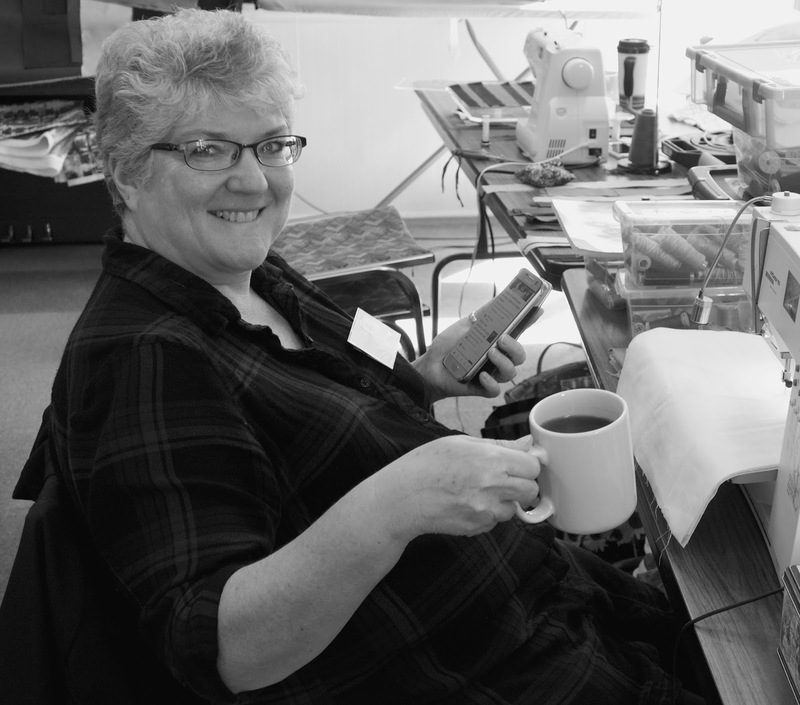 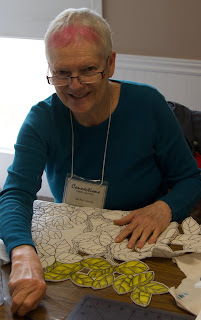 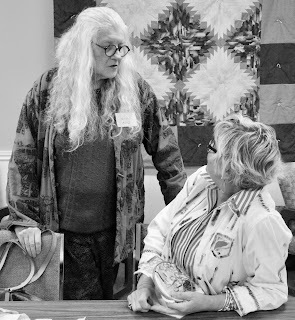 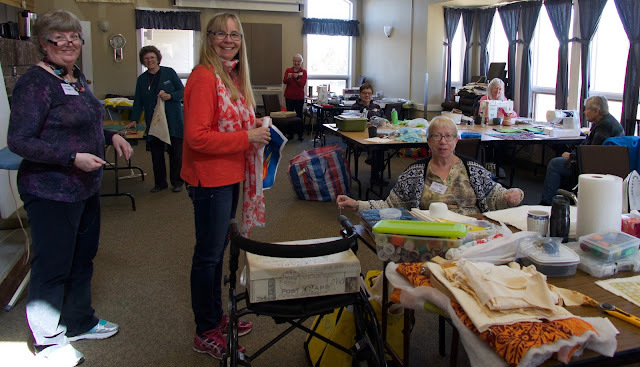 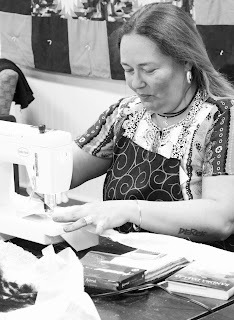 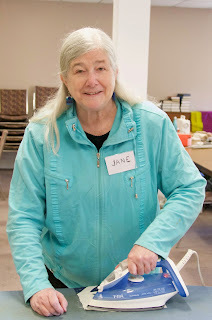 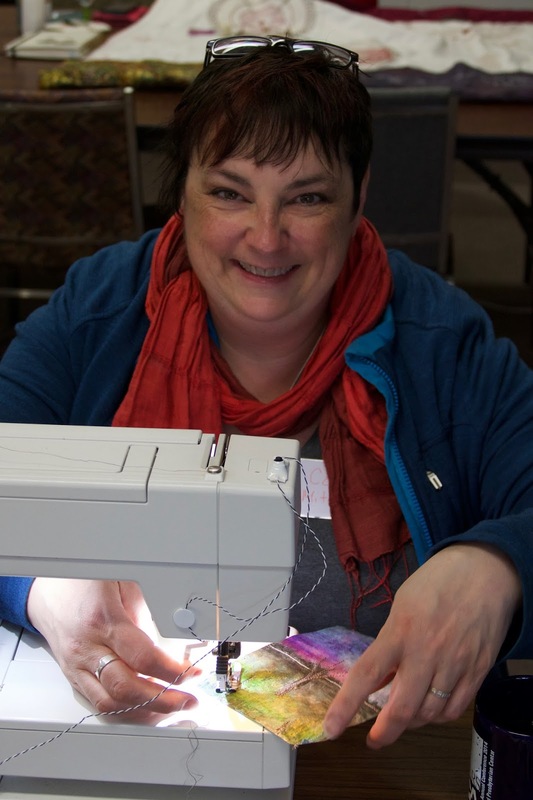 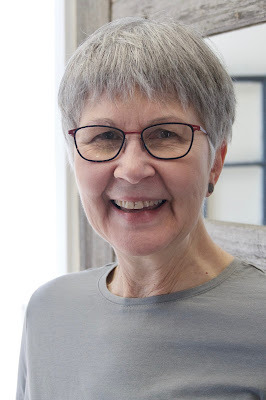 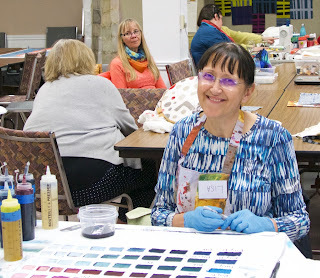 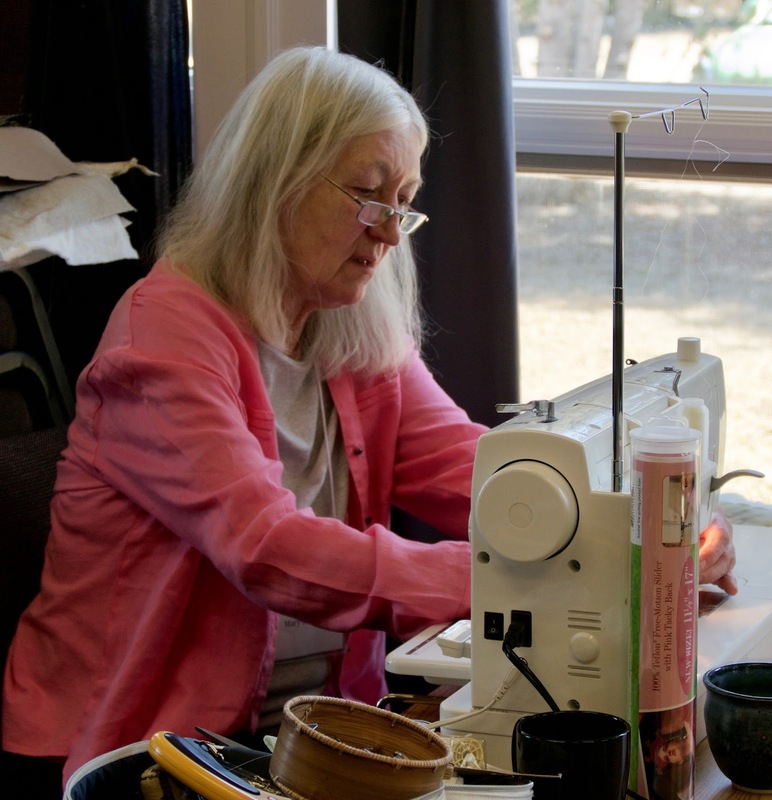 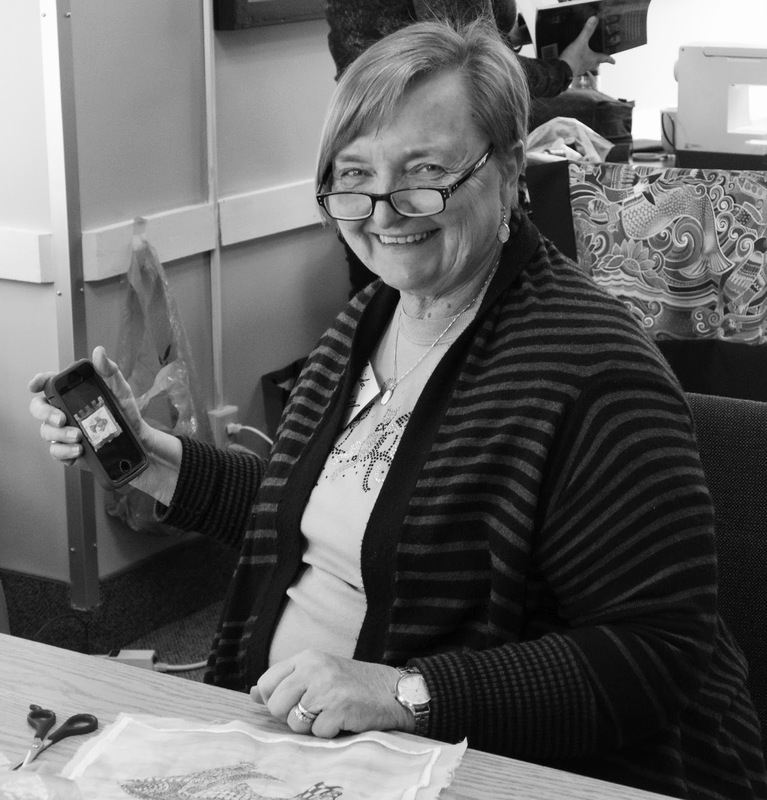 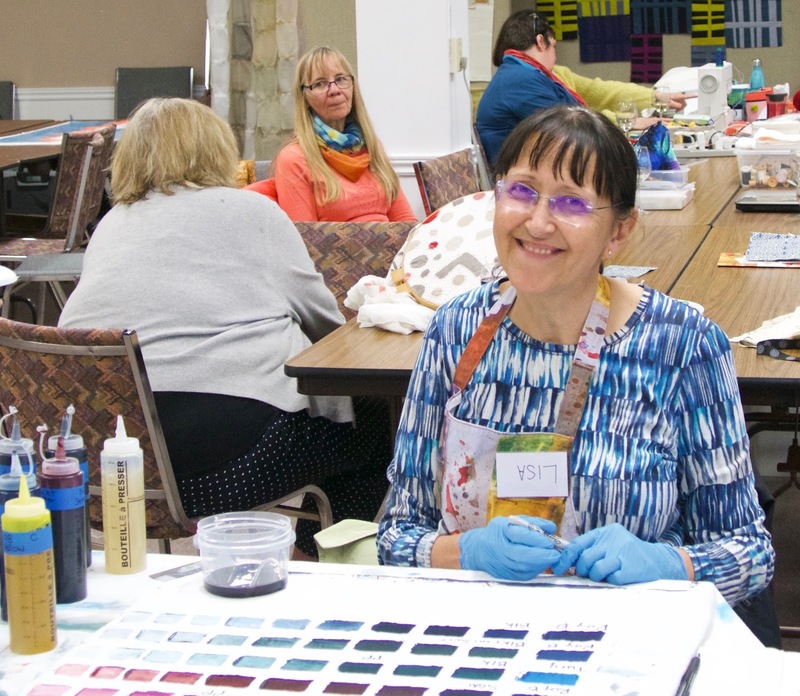 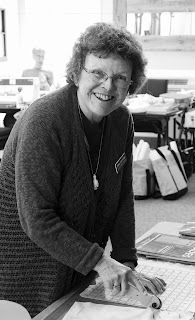 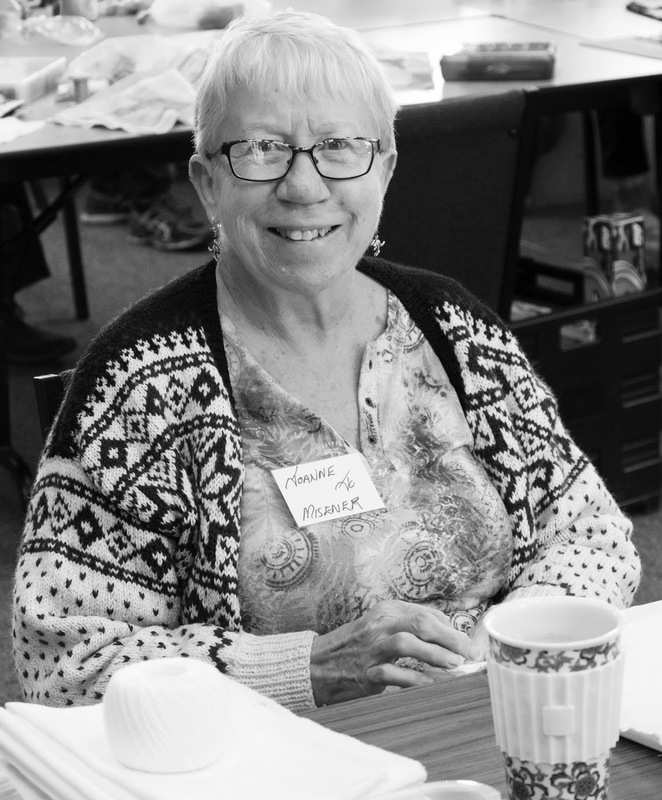 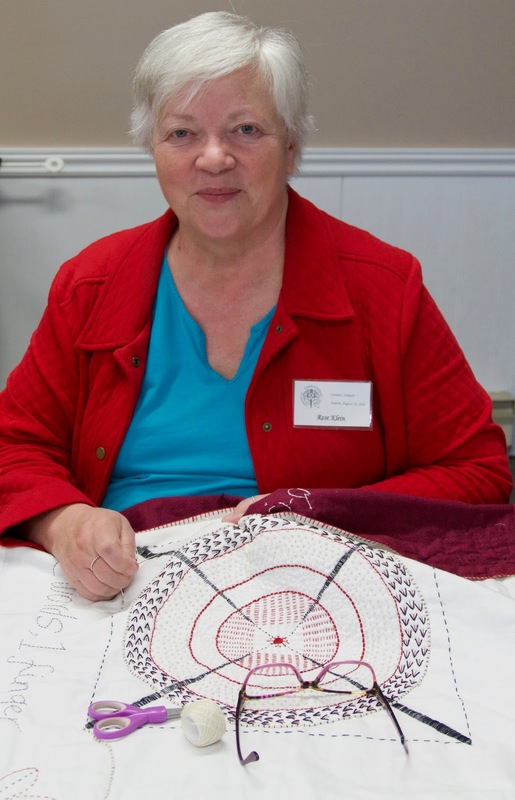 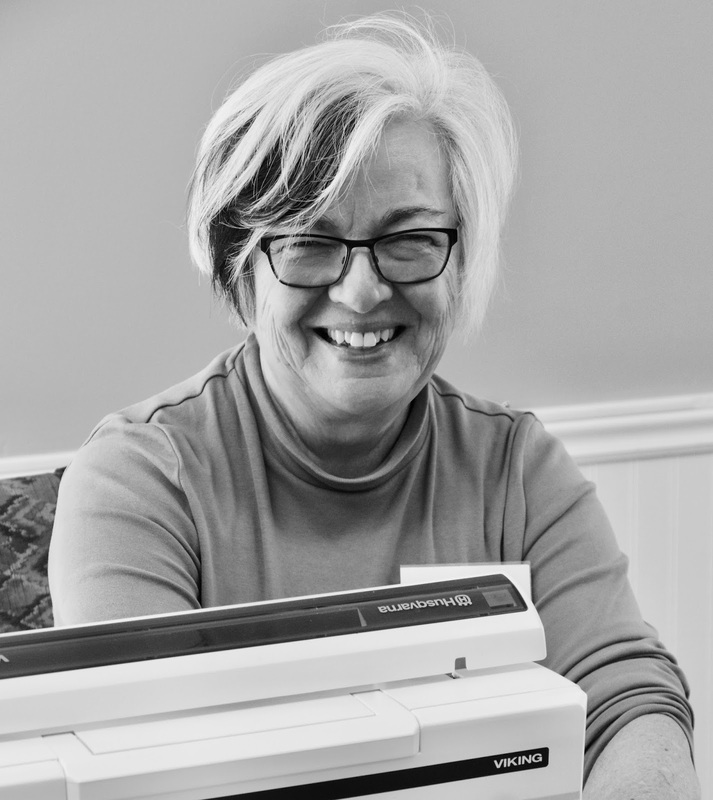 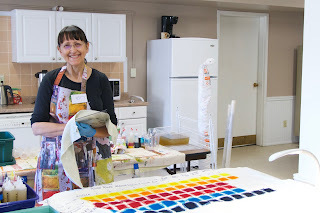 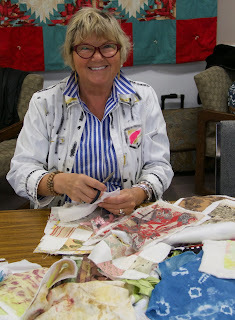 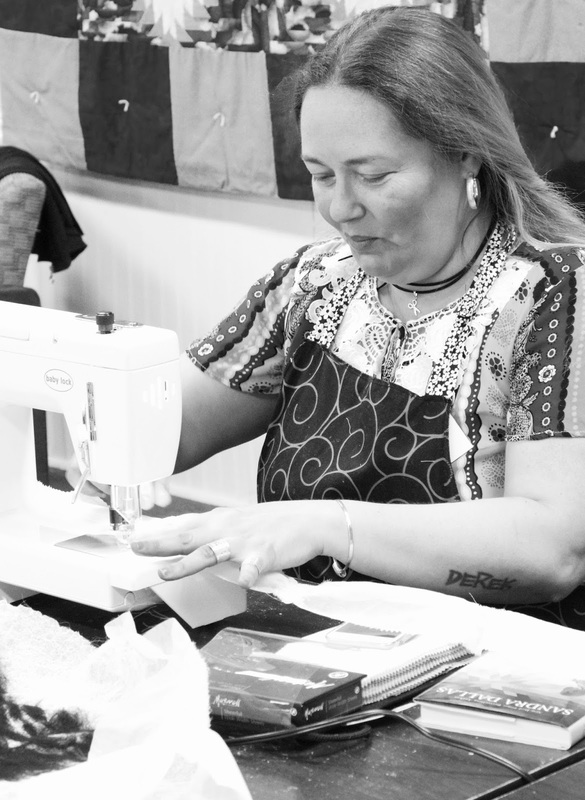 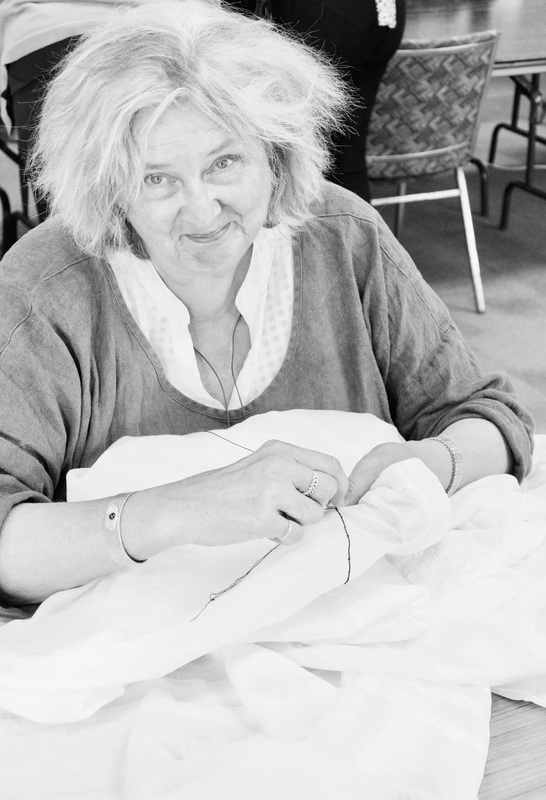 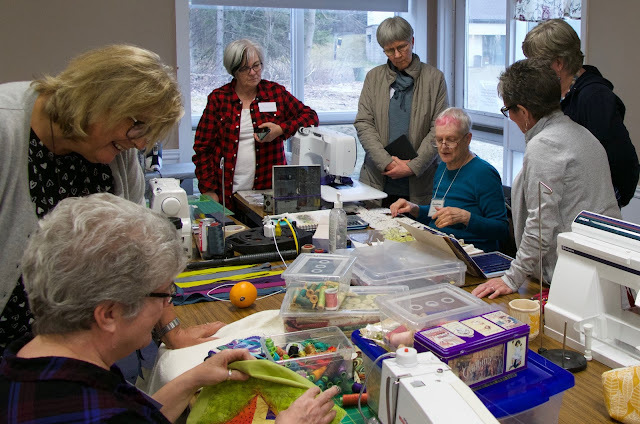 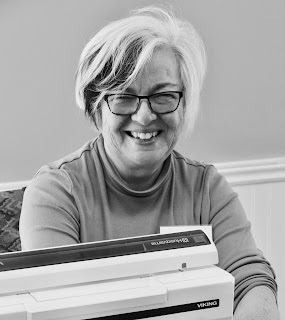 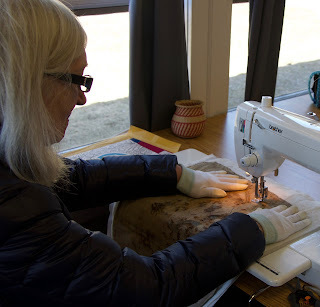 Here is what fun looks like for SAQA art quilters. 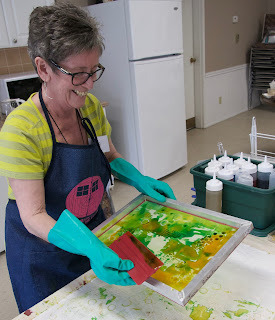 Sew, dye, paint, screen print, iron and talk... perfect!